Here’s a closer view of the bed looking toward the south. 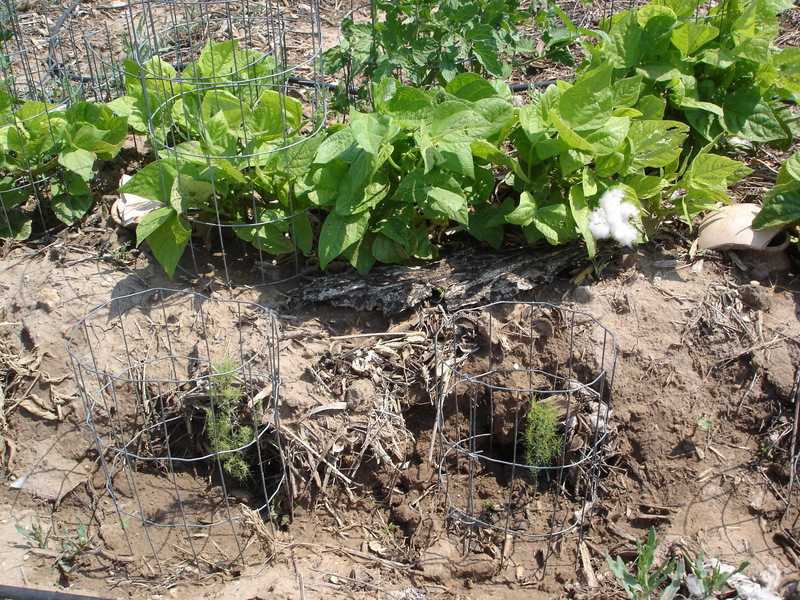 You can see a tomato on the far side, green beans in the middle and a couple of asparagus sprouts in the foreground. There are some zucchini even closer but you can’t see them. There are two ollas in there, among the green beans and a tuft of cotton that blew off of a module truck that was going down the county road. That’s how roundup ready genetics from Monsanto can infect private property…just so ya know!